These two beauties were found abandoned along a road. The animal control officer who found them had hoped to see them off, but couldn't, so we made sure pictures went his way so he could know the satisfaction that these deserving animals are on their way to a much better place where they'll find loving families of their very own. 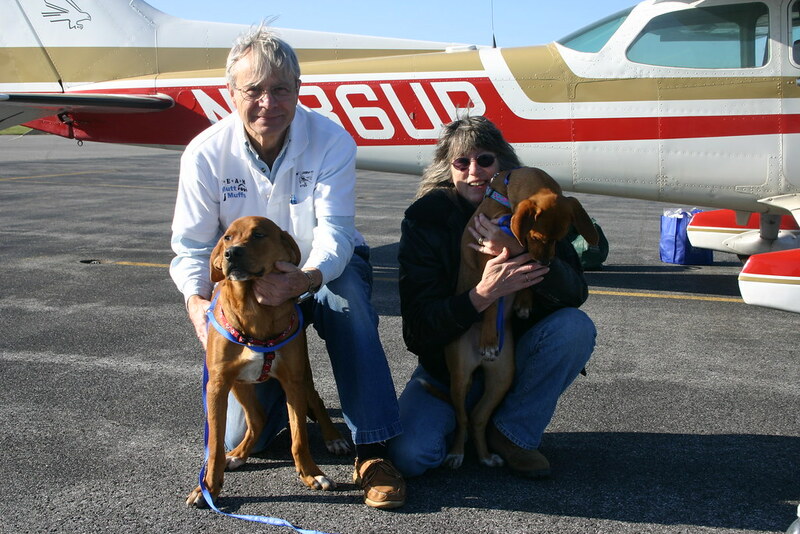 Team Mutt Muffs John and Michele about to introduce our two passengers to the thrill of general aviation. Actually, it was a beautiful day for flying, even though Kaiser kept pigging the whole back seat and little Coco finally gave up and settled in on the floor. 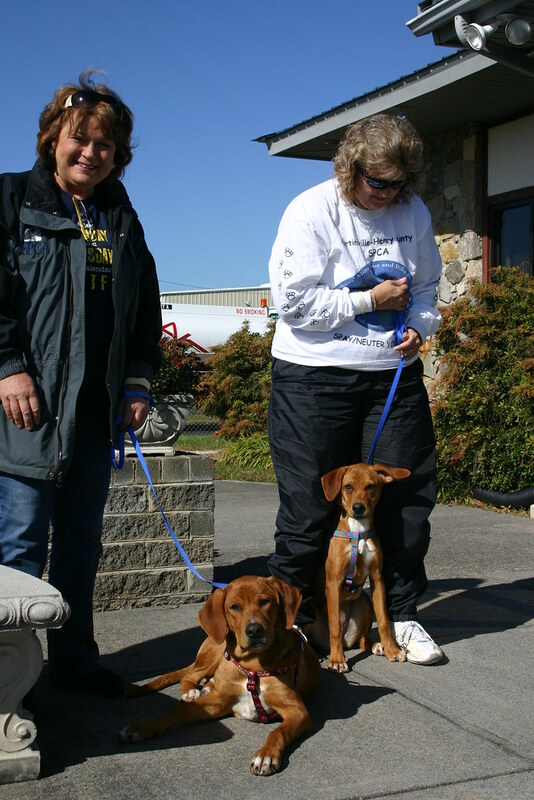 We arrive safely at KDMW with Kaiser and Coco. 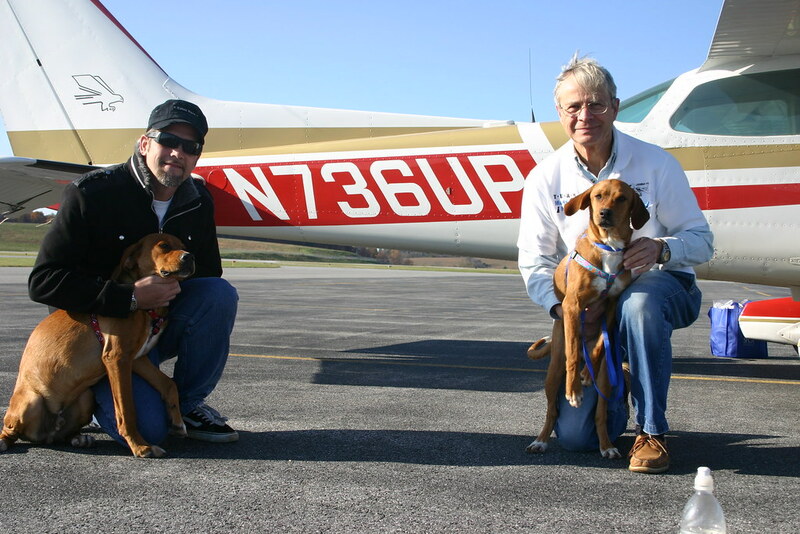 Here, the pups pose with their next pilot, Gary and Leg 1 pilot John. 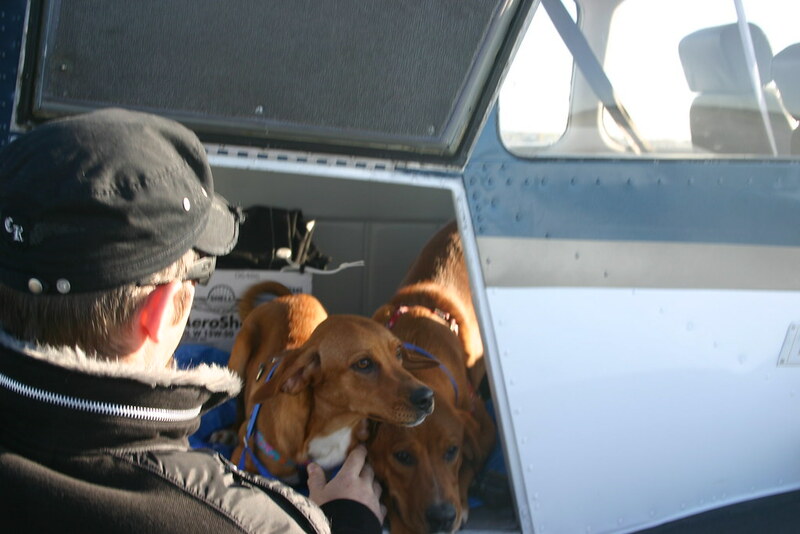 Time to load up for one last plane ride which will deliver the duo to the rescue volunteers of JoeJoe's Place in NJ. We hope that these two little souls, who just recently were abandoned, find their forever families in time for Thanksgiving turkey. God bless all the rescue volunteers. Mission complete!